Without a doubt one of the most prolific, interesting, and creative new rappers to emerge from the underground scene in recent years, Houston’s Tobe Nwigwe went from star college football player to critically-beloved hip hop artist just a few years back, and, more recently, has seen his following surge thanks to a fine-tined visual aesthetic and his approachable, engaging use of social media to bring his stellar art to a wider audience. Out on the road for a lengthy spring tour, the fiercely independent Nwigwe is slated to play what looks like his first Nashville show ever on March 28 at Mercy Lounge. While the you don’t have to look far beyond the mainstream to find some truly unique and groundbreaking hip hop artists making music today, few have found the balance of style, substance, delivery, and thematic focus to get us quite as excited as we are for Nwigwe, who seems clearly primed to break out in a big way very soon. Grab tickets to see him in a more intimate space right here while you still can! Or, if you’d rather try your luck, w’ere also giving away a pair of tickets to one lucky fan; read on for more about the show, and enter for a chance to win below. 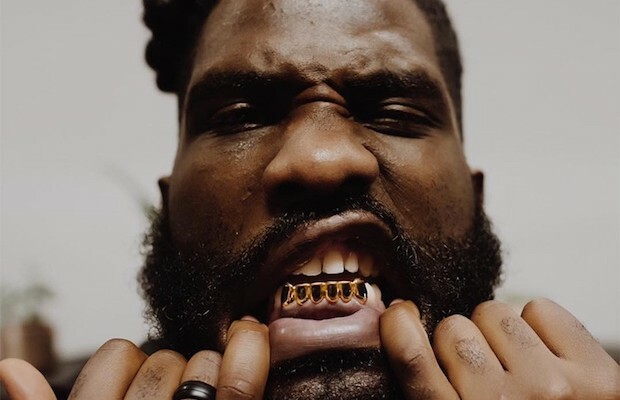 Hailing from the Houston suburb of Alief, TX, first-generation Nigerian-American Tobe Nwigwe had, originally, envisioned a career playing professional football, even serving as a star linebacker for the University of North Texas with would-be NFL prospects, before an injury his senior year brought Tobe’s plans to a halt and sent him into an existential crisis, reevaluating his future, priorities, and passions. Eventually urged by those around him to turn his knack for freestyling into a more serious musical pursuit, Nwigwe began independently releasing music several years ago, quickly honing his fine-tuned, imposing, and smooth delivery and fresh style, which attracted plenty of positive praise for the rising MC (with a cult following online, thanks to engaging social media), and earned him some impressive fans like Erykah Badu, Sway Calloway, and Dave Chappelle. With regular contributions from his wife and muse Fat and producer and collaborator LaNell Grant, Tobe has forged a sound and vibe unlike another other up and coming rapper today, enhanced by a strong and inventive visual aesthetic, and propelled by themes of growing up around violence and hardship, but emerging with a sense of purpose, faith, and a pursuit of excellence, with Nwigwe’s songs regularly professing love for his wife and for God, analyzing his place in the world and a man and as an artist, examining black culture and the state of modern hip hop, and more. Over several albums, EPs, mixtapes, playlists, singles, and multimedia releases, Tobe Nwigwe has positioned himself as one of the most exciting, sharp, refreshing, and prolific figures in modern hip hop, and not since Chance the Rapper’s early days have we been so excited to see a rising rapper roll through Nashville for the first time. Don’t miss this performance, or you’re surely regret it later. Winner will be announced Wednesday, March 27 at 12 p.m. CDT, and will receive one pair of tickets. Good luck! Win Tix to Tobe Nwigwe at Mercy Lounge! Tobe Nwigwe will perform Thursday, March 28 at Mercy Lounge. The show is 18+, begins at 8 p.m. (doors at 7 p.m.), and tickets are available to purchase for $20-85.